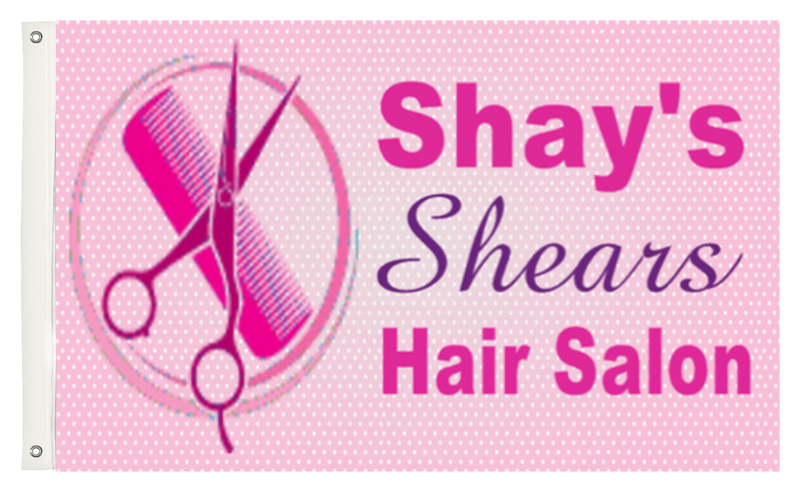 Custom Salon Flags - Order Online Today! Fabric flags are a great way to advertise for your salon. Flags are used outdoors to attract new customers to your salon by displaying your specials, logo and contact information. Fabric flags work well for all types of salons - hair salons, nail salons, tanning salons and other beauty salons.